What is a Bachelor of Science in civil engineering? This program is tailored to students who are interested in the design, construction and maintenance of facilities that help humans lead better lives, while protecting the planet. Civil engineers create water and air treatment systems, highways, tunnels, foundations, buildings and bridges, while also restoring, protecting and improving the environment. 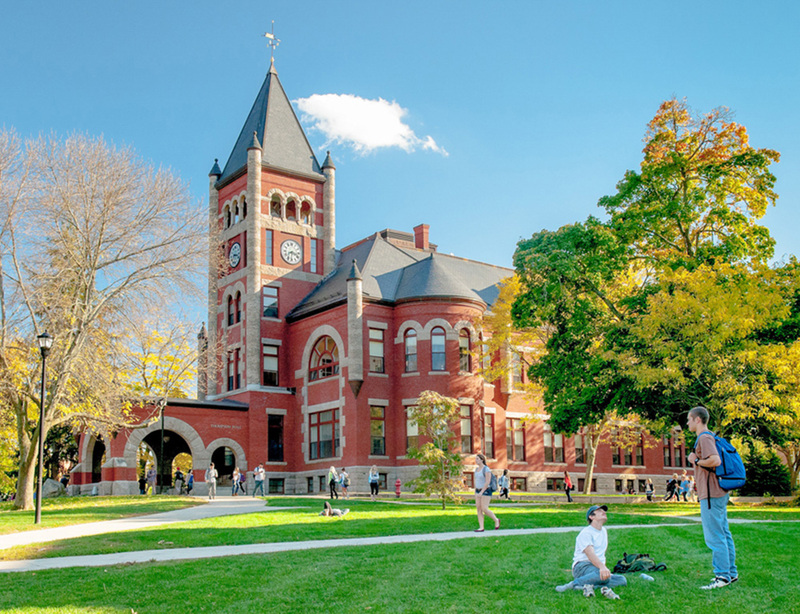 Why study civil engineering at UNH? This program is rich with interesting students and engaged professors. You’ll begin taking civil engineering courses during your first year, and you’ll have the flexibility to tailor the curriculum to your interests. You’ll have the opportunity participate in a wide array of student organizations and activities. The civil engineering program allows for study abroad, complementary minors and dual majors, a track for graduating in fewer than four years, an accelerated master’s degree program and close ties to industry that result in internship and employment opportunities. Matriculating students should have strong aptitudes in mathematics and science along with imagination, spatial and graphic abilities, communication skills, and creativity. Students then follow a four-year program that conforms to the guidelines of, and is accredited by the Engineering Accreditation Commission of ABET, the global accreditor of college and university programs in applied and natural science, computing, engineering and engineering technology. ABET accreditation assures that programs meet standards to produce graduates ready to enter critical technical fields that are leading the way in innovation and emerging technologies, and anticipating the welfare and safety needs of the public. The first two years of the program provide the necessary technical knowledge in mathematics, chemistry, and physics, while introducing and developing problem-solving techniques in eight courses tailored to civil engineering students. The junior year provides courses in each of the civil engineering sub-disciplines, providing students with skills in each and allowing students to determine which they wish to pursue further. The senior year is flexible, allowing students to choose where to focus attention by selecting from more than forty elective courses in civil and environmental engineering. Additional opportunities exist for study abroad, cognates, minors, and dual majors, a three-year accelerated track, and early admission into two masters of science degree programs. A course satisfying one each of the Discovery Program categories of Humanities, Biological Science, Fine and Performing Arts, Historical Perspectives, Social Science and World Cultures. Satisfies capstone requirement for Discovery. Approved list available in the CEE office. More than half of the major's total credits and nearly all of the senior-level courses are elected by the student. Of these, there are Discovery Program electives required by the University and other electives required by the department in order to satisfy departmental objectives and accreditation requirements. The Discovery Program is described in University Academic Requirements. Courses required by the BSCIVE program fulfill Discovery requirements in Inquiry and Environment, Technology, and Society, Writing Skills, Quantitative Reasoning, Physical Sciences and Discovery Lab and Capstone. To graduate with a bachelor of science in civil engineering, a student must achieve the following: 129 or more credits, credit for the civil engineering program's major and elective courses, satisfaction of the University's Discovery Program requirements, satisfaction of the University's writing-intensive course requirements, a cumulative grade-point average of 2.0 or better for all courses, and a cumulative grade-point average of 2.0 or better in all CEE courses. 1. Courses must be taken in four of six different areas (structural, geotechnical, materials, water resources, environmental, sustainability). 2. At least three design courses; including one Project-based Design Elective PDE course. 3. One of the seven 700-level courses is a senior technical elective. Be a CEPS major or have at least 12 credits of graded work at UNH along with Calculus I, and either chemistry or calculus-based physics. 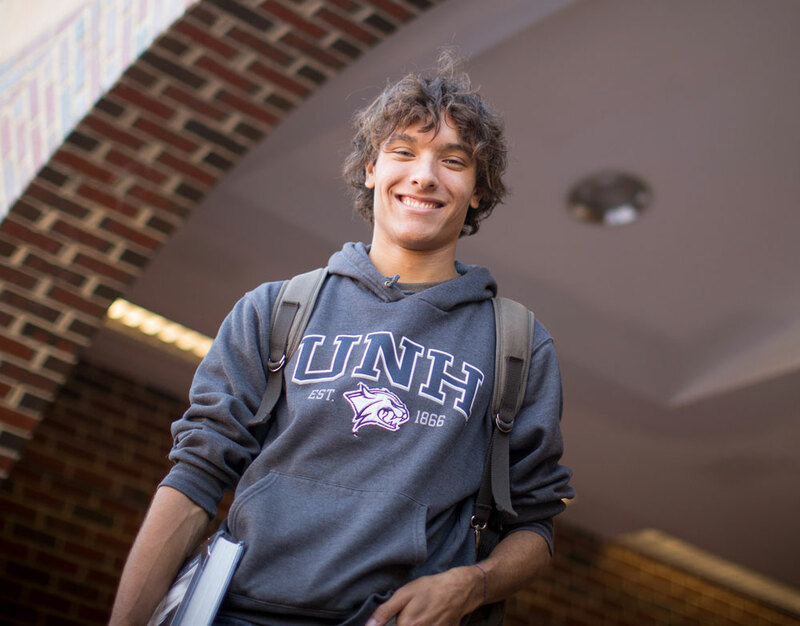 Have an overall UNH grade-point average of 2.33 or greater. Have a grade-point average of 2.33 or greater in courses taken to date at UNH of MATH 425, PHYS 407, CHEM 403 or CHEM 405, CEE 500 or ME 525 , and CEE 501 or ME 526 . Have a grade-point average of 2.33 or greater in courses taken to date of CEE 500 and CEE 501. At the time of transferring into the BSCIVE program, only CEE 600-level and CEE 700-level classes with a grade of C- or better may be transferred in. BSCIVE majors wishing to participate in domestic or international exchange programs must achieve a cumulative grade-point average of 2.50 or better in all CEE courses taken to date at the time of application to the exchange program. MATH 425, PHYS 407, CHEM 403 or CHEM 405, CEE 500 or ME 525 , and CEE 501 or ME 526 must have been completed with passing grades. The student must have a grade-point average of 2.00 or greater in all CEE courses. The student must have a grade-point average of 2.00 or greater in MATH 425, PHYS 407, CHEM 403 or CHEM 405, CEE 500 or ME 525 , and CEE 501 or ME 526 . The student must have a grade-point average of 2.00 or greater in CEE 500 or ME 525 and CEE 501 or ME 526 . Our curricula exceed the University's writing requirements, meets the University’s Discovery Program requirements, and meets ABET's requirements . Our two undergraduate degree programs are, and have always been accredited by the Engineering Accreditation Commission (EAC) of ABET. Pursue and disseminate knowledge through teaching, scholarship, outreach, and public service. Provide excellent undergraduate and graduate education. Advance the state-of-the-art in science and engineering by conducting research. Enhance the quality of life for people in New Hampshire and beyond.